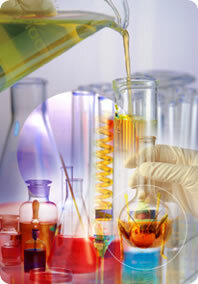 FuncChem (Shanghai) Inc. is specialized in providing excellent functional chemicals made in china. With years of experience in sourcing and supplying various chemicals in china, we have become very professional in this field: We have founded extremely reliable and stable cooperation with many leading chemical manufacturers in china, which can guarantee us to respond and act in shortest time, with most favorable prices and promised supplying. We are dedicated to bridge chinese chemicals manufacturers with oversea clients; we are working with our customers to fulfill their requirements, and always looking to identify new fields of demand, to source products for specific and novel applications, and identify manufacturers with the ability to meet these needs. We always act as a partner to our principals and clients; we supply consistent, superior quality materials; we are committed to cutting your costs and sharpen the competitive potential of your products in market. Service is our business. We spare no efforts to create and maintain a "full service" relationship with our customers by providing individualized attention, qualified products, industry know-how, technical expertise and efficient logistics.